The Hydro Series H100: Go long. Ready for Corsair Link Digital. The H80 and H100 work great with Corsair Link, an ecosystem of hardware and software components designed to give you unprecedented control over your PC. 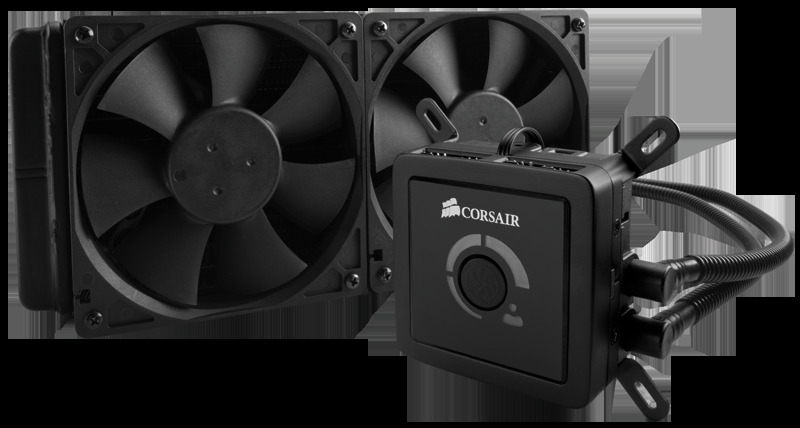 Connect your H80 or H100 to the Corsair Link Commander (available separately) and monitor a wide range of parameters, including pump speed, coolant temperature, and fan speed, and customize your own performance profiles. The Hydro Series H80: Compact and quiet. Xoxide Zach says - Featuring compatibility for all major CPU sockets, installation is a breeze! And you don’t have to worry about maintenance to keep the excellent thermal performance up—these factory-sealed, closed-loop systems never need to be refilled! Corsair really paid attention to the small details too, when I went to install one I was delighted to see they had even pre-applied thermal compound!